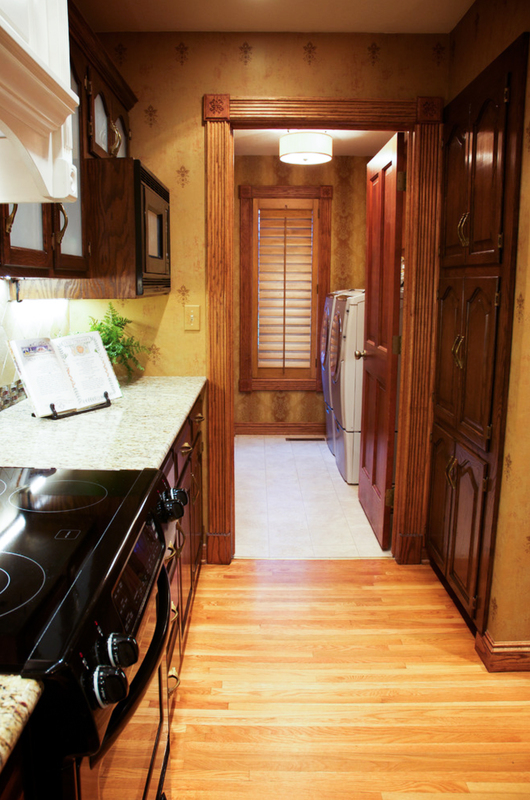 Opening up the dated, cramped space was our main goal with this project. 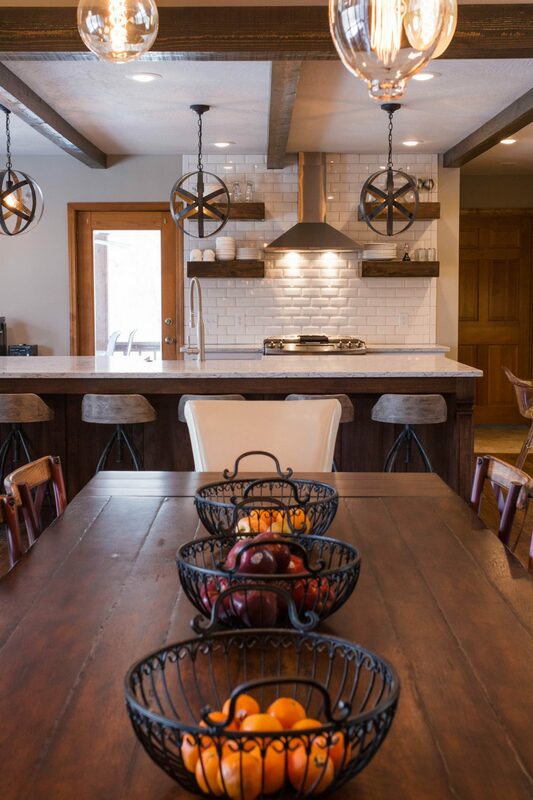 With a wood-framed drop ceiling holding harsh fluorescent lighting, and a soffit dividing the kitchen from the breakfast area, the room felt a bit like a cave. 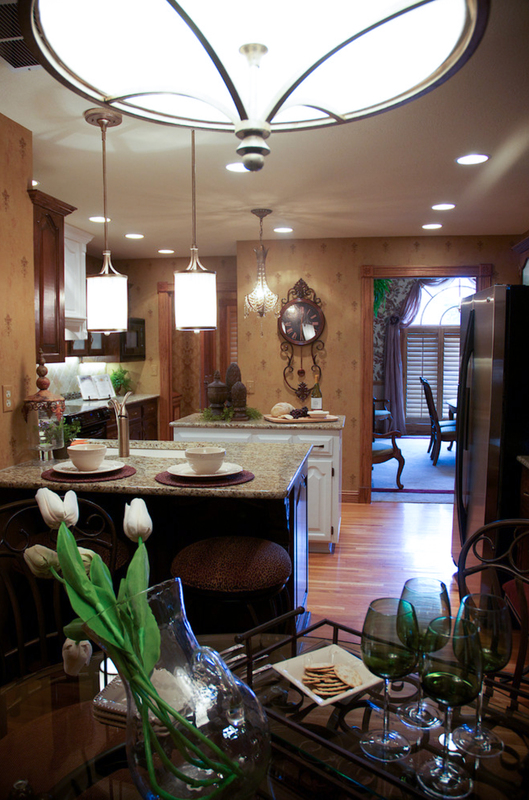 Lighting was major consideration. 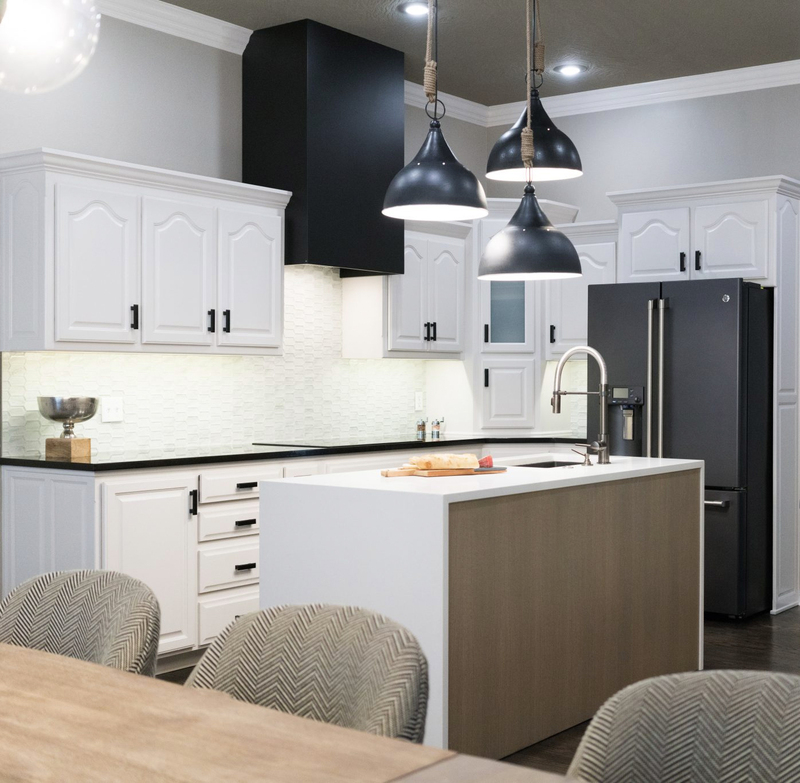 By removing the drop ceiling and soffit and adding recessed lighting, we created extra height that made the room seem instantly larger, even though it added no extra square footage. 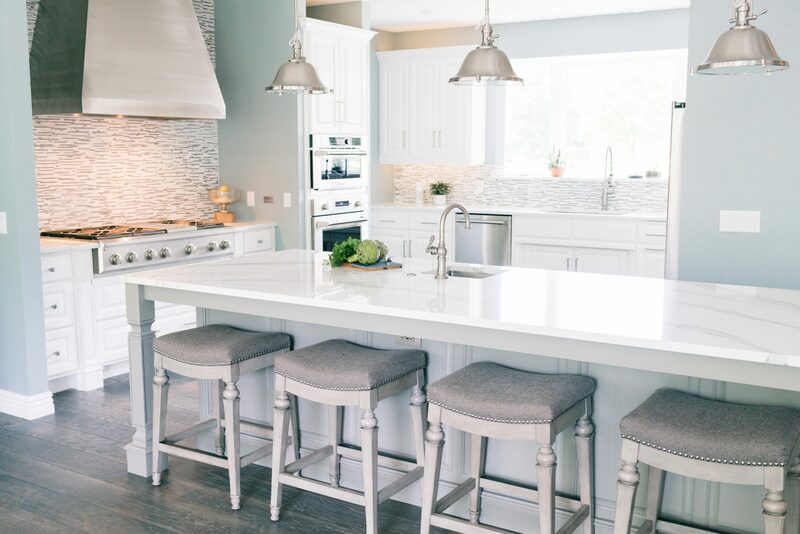 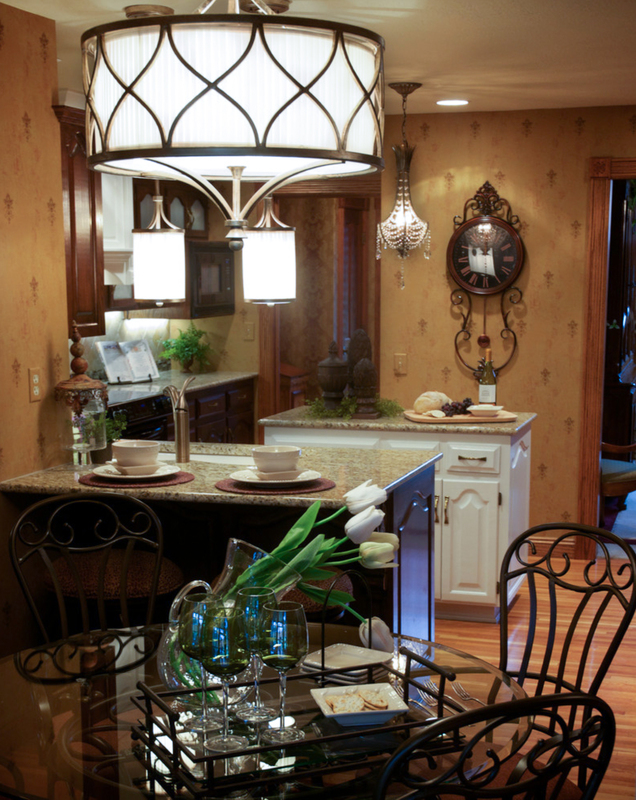 A petite chandelier adds drama over the island, which was painted an accenting ivory. 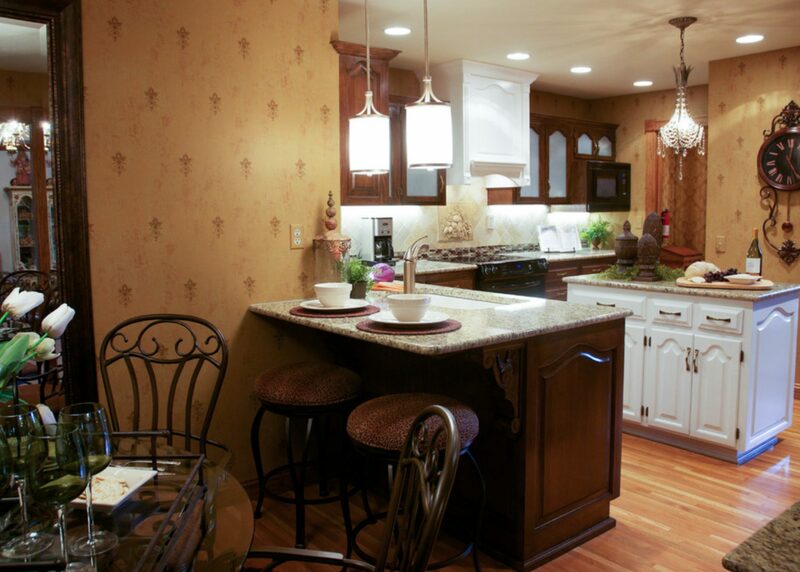 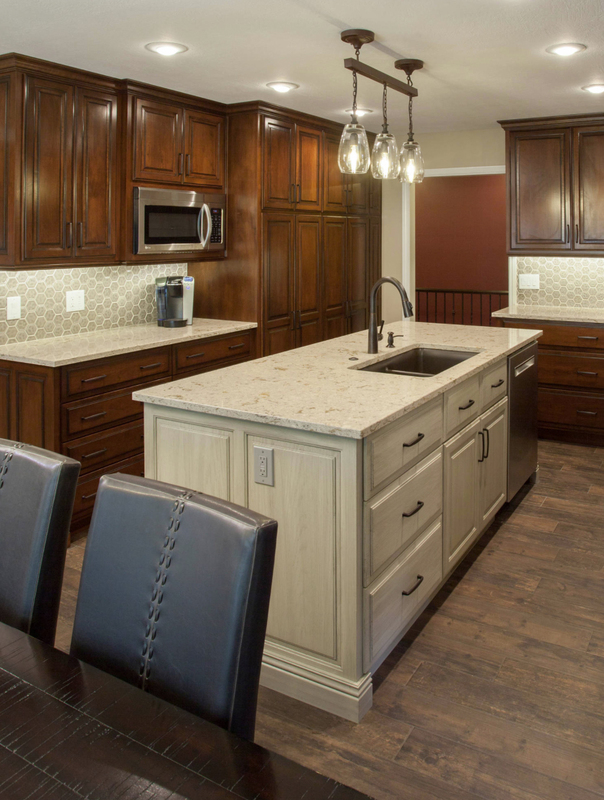 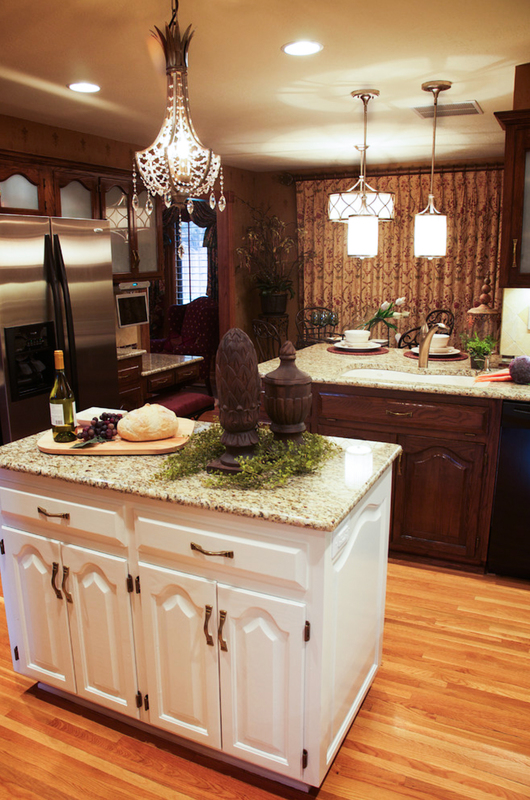 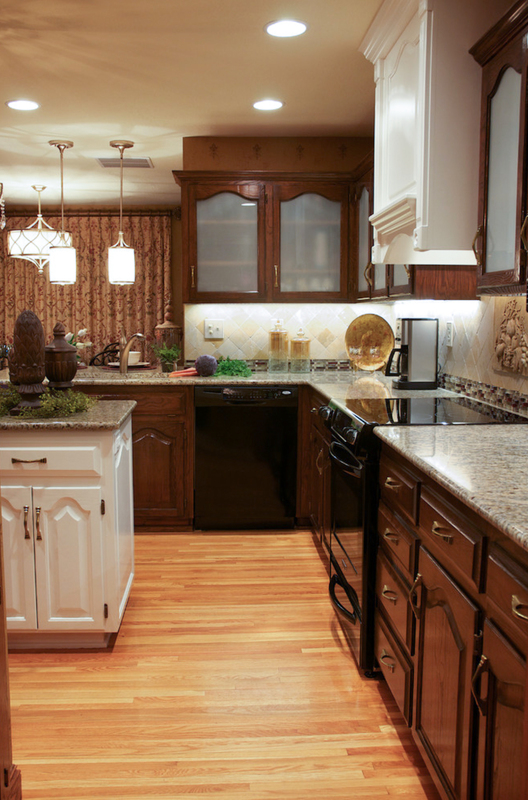 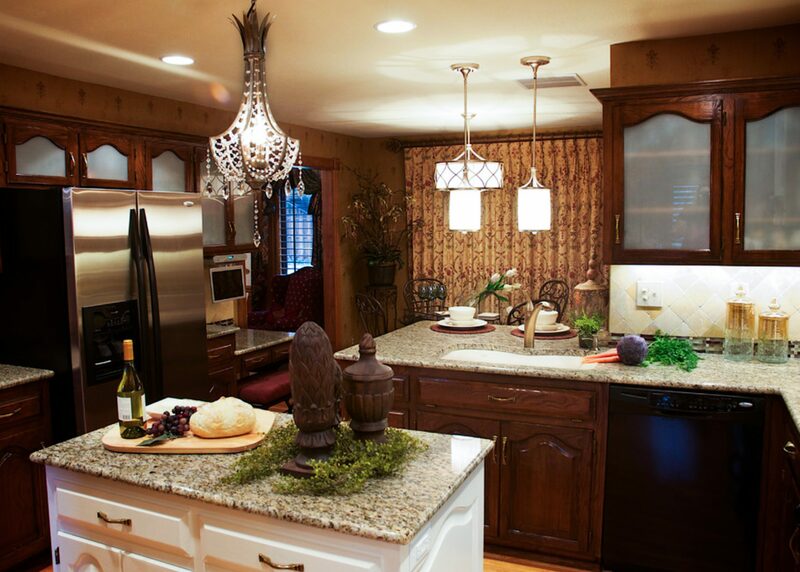 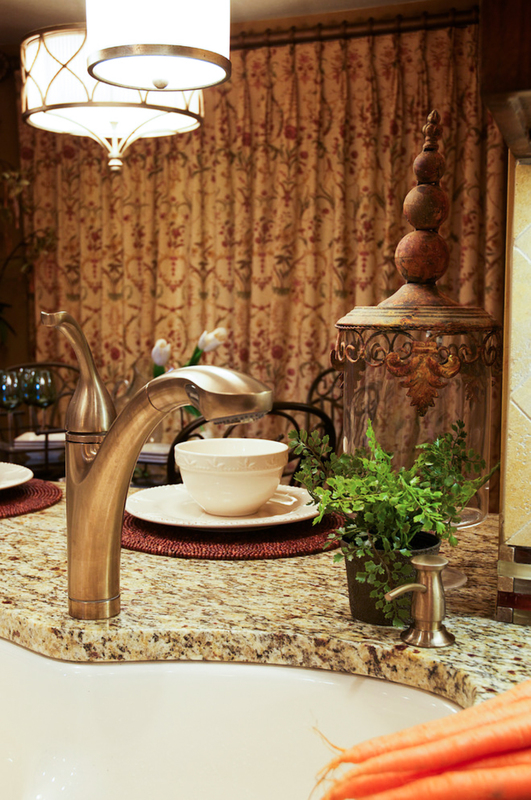 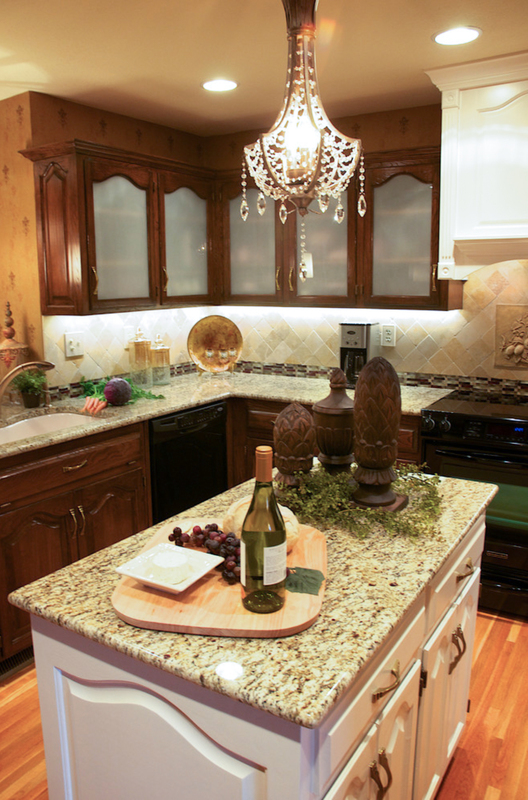 LED under-cabinet lighting created additional visual space and highlighted the new granite and backsplash. 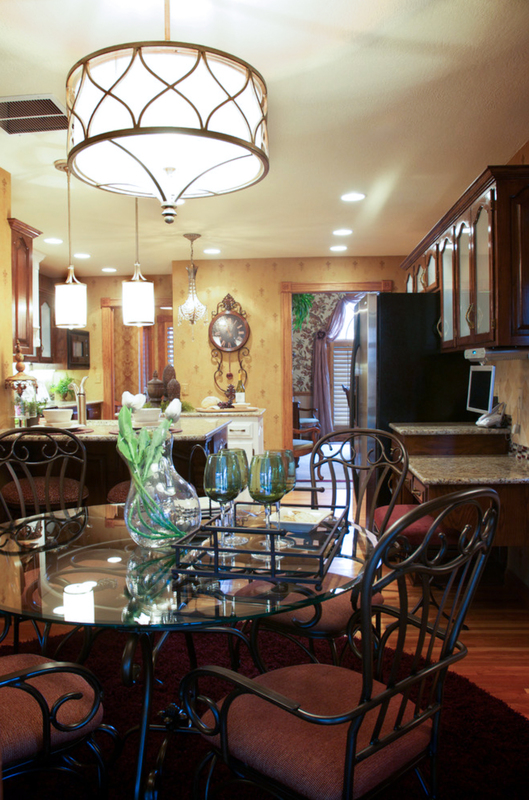 Pendants were added at the pull-up bar and a coordinating modern chandelier was brought in to the breakfast nook. 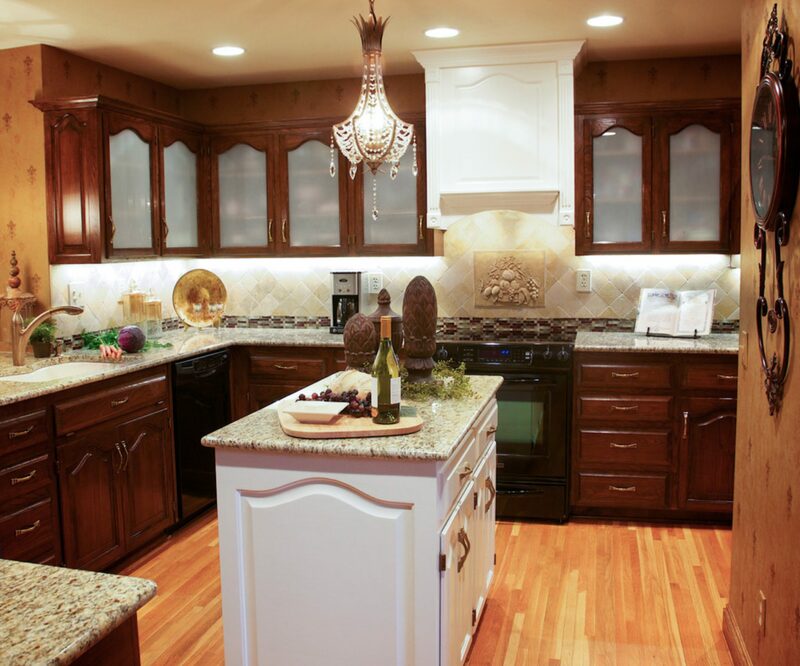 By glazing the existing cabinets in a rich chocolate color and adding frosted glass on the upper panels, we were able to give the impression of new cabinetry while preserving our budget. 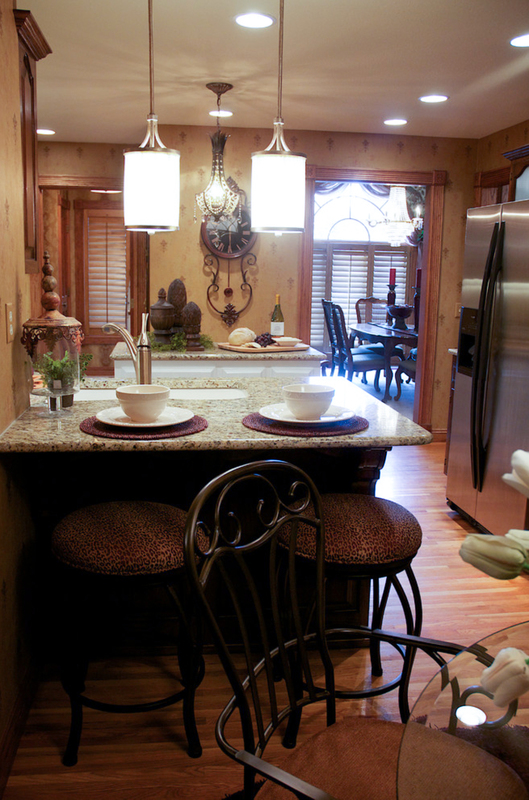 A custom range hood was installed, which added height and a focal point. 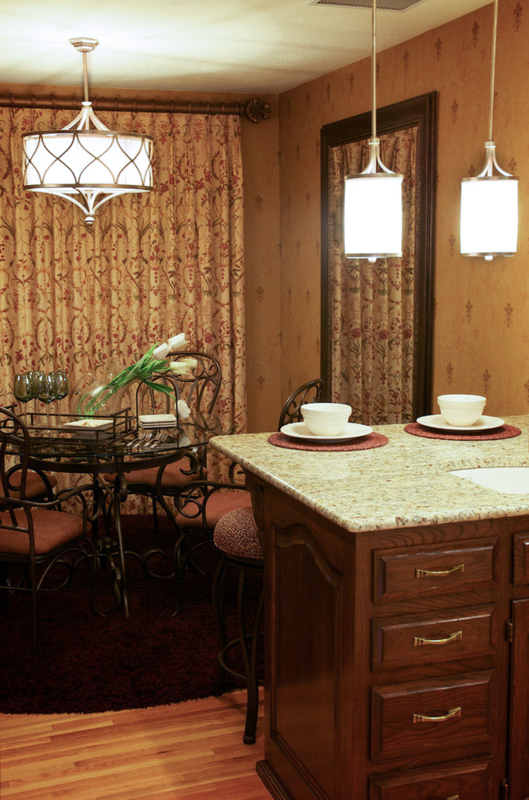 Elegant wallpaper with subtle tones of burgundy and gold tie the spaces together. 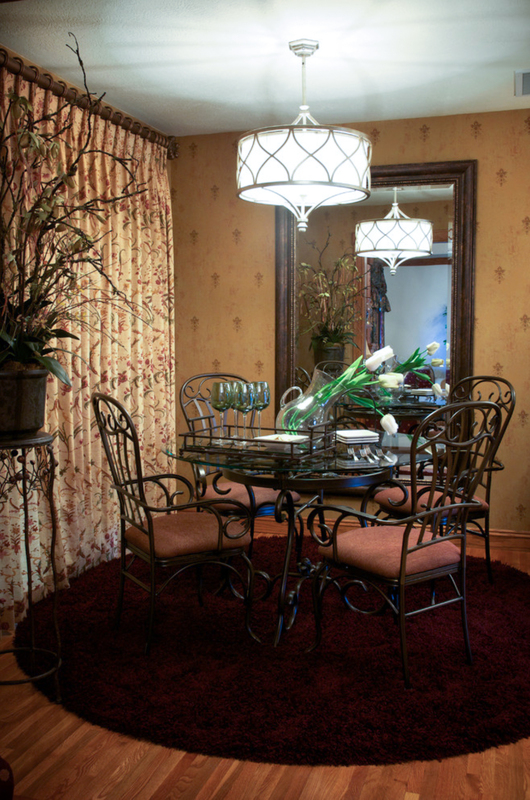 Drapery in a beautiful Thibaut fabric and a custom burgundy area rug softens the room. 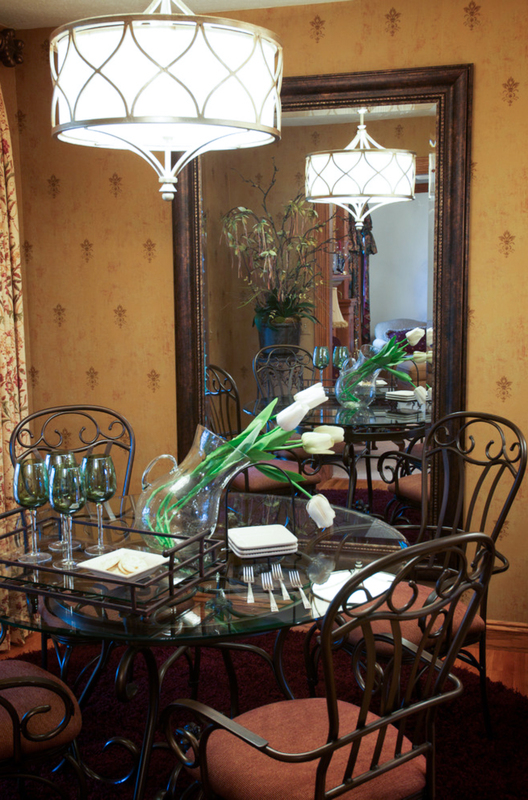 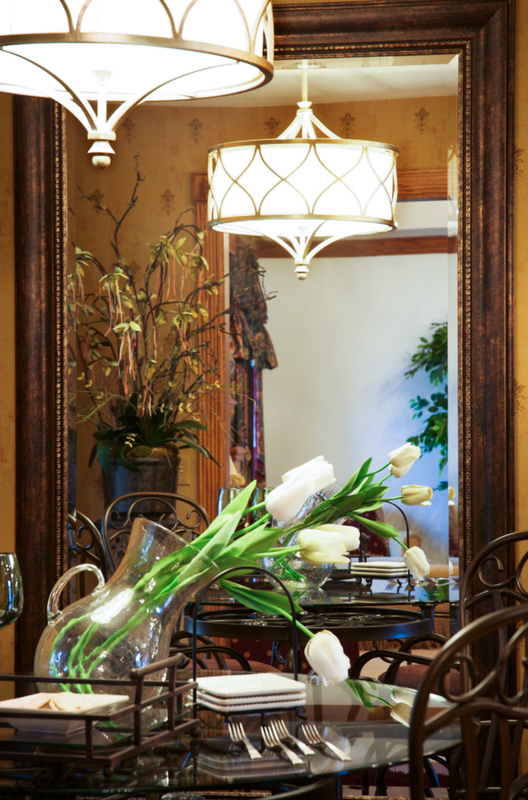 A floor mirror also adds drama, as well as expands the visual space of the fairly small dining area.